Brian M. is drinking a Sonoma County Blonde Ale by Grav South Brew Co. at Grav South Brew Co. Purchased at Grav South Brew Co.
Michael F. is drinking a Juicy 7 Figure by Grav South Brew Co. at Grav South Brew Co.
mariah is drinking a Good Ol’ Haze by Grav South Brew Co. at Grav South Brew Co.
Earned the Cheers to Independent U.S. Craft Breweries (Level 16) badge! Earned the I Believe in IPA! (Level 96) badge! Philip is drinking a Good Ol’ Haze by Grav South Brew Co. at Grav South Brew Co.
Earned the Cheers to Independent U.S. Craft Breweries (Level 19) badge! Earned the Taster, Please (Level 9) badge! mariah is drinking a Lotus by Grav South Brew Co. at Grav South Brew Co.
Philip is drinking a Lotus by Grav South Brew Co. at Grav South Brew Co.
Philip is drinking a 7 Figure IPA by Grav South Brew Co. at Grav South Brew Co.
mariah is drinking a Kick Your BRUTS Up by Grav South Brew Co. at Grav South Brew Co.
mariah is drinking a 7 Figure IPA by Grav South Brew Co. at Grav South Brew Co.
Philip is drinking a Kick Your BRUTS Up by Grav South Brew Co. at Grav South Brew Co.
Chris T. is drinking The Good Ol’Haze by Grav South Brew Co. at Grav South Brew Co.
Earned the Cheers to Independent U.S. Craft Breweries (Level 14) badge! Earned the I Believe in IPA! (Level 95) badge!  Rob is drinking a GravSouth Brew Co. Strong Scotch Ale by Grav South Brew Co.
Karl M. is drinking The Good Ol’Haze by Grav South Brew Co. at Grav South Brew Co.
Brian M. is drinking a Lotus by Grav South Brew Co. at Grav South Brew Co.
David J. is drinking a French Vanilla Porter by Grav South Brew Co. at Grav South Brew Co.
David J. is drinking a 7 Figure IPA by Grav South Brew Co. at Grav South Brew Co.
Earned the Cheers to Independent U.S. Craft Breweries (Level 54) badge! Earned the Draft City (Level 73) badge! David J. is drinking The Good Ol’Haze by Grav South Brew Co. at Grav South Brew Co.
Earned the Haze for Days (Level 17) badge! Earned the Find the Source (Level 28) badge! DJ K. is drinking a Lotus by Grav South Brew Co. at Grav South Brew Co.
Earned the Taster, Please (Level 7) badge! Earned the Land of the Free (Level 36) badge! DJ K. is drinking The Good Ol’Haze by Grav South Brew Co. at Grav South Brew Co.
Earned the Verified Adventure (Level 5) badge! Earned the Photogenic Brew (Level 25) badge! Earned the Haze for Days (Level 8) badge!